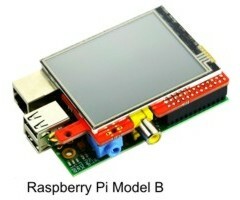 2.8 inch TFT-Display (320x240) with Touchpanel for all Raspberry Pi Models. 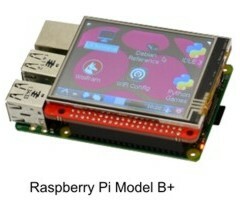 Ready to run SD-Card image (Raspbian/Debian with FBTFT) for 2.8” RPi-Display and RPi-Display B+. Copy the image after extraction (ZIP archive) to a SD-Card with dd under Linux or Win32-Disk-Imager under Windows. To start the desktop run $ sudo startx. Note: The file system has to be expanded, run $ sudo raspi-config --expand-rootfs and perform a reboot.